January has sure been a month of ups & downs weather wise. We have had some warm weather then, cold, freezing rain/sleet/snow (though not much). Here we are at the LAST Friday in January! What will February bring?? Until then, let’s give a High Five For Friday. My favorite cleaning service was in the house this week. 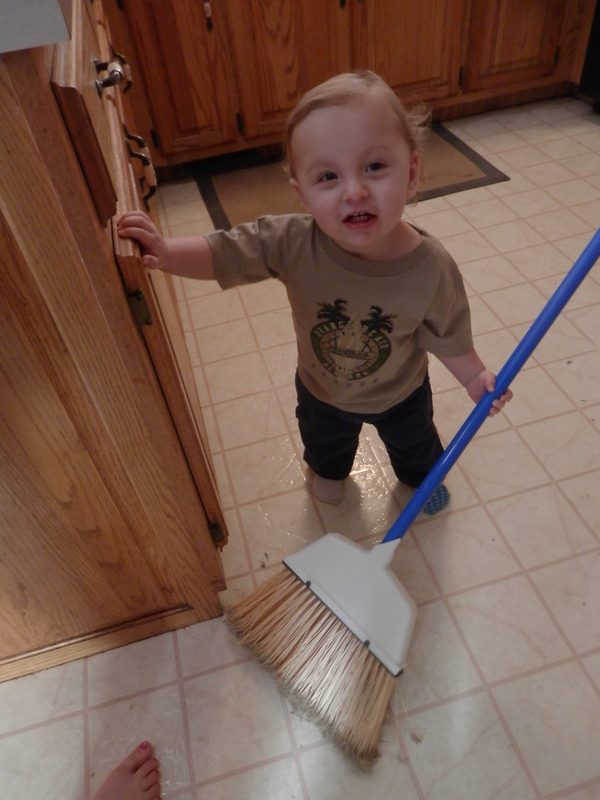 Not only does he sweep, he cleans the toliet, empties out my cabinets, throws lots of stuff in the garbage, & can dust the coffee table in his socks. We may or may not tell his parents about all the great things he does each visit. That way, they may or may not let him keep coming back. 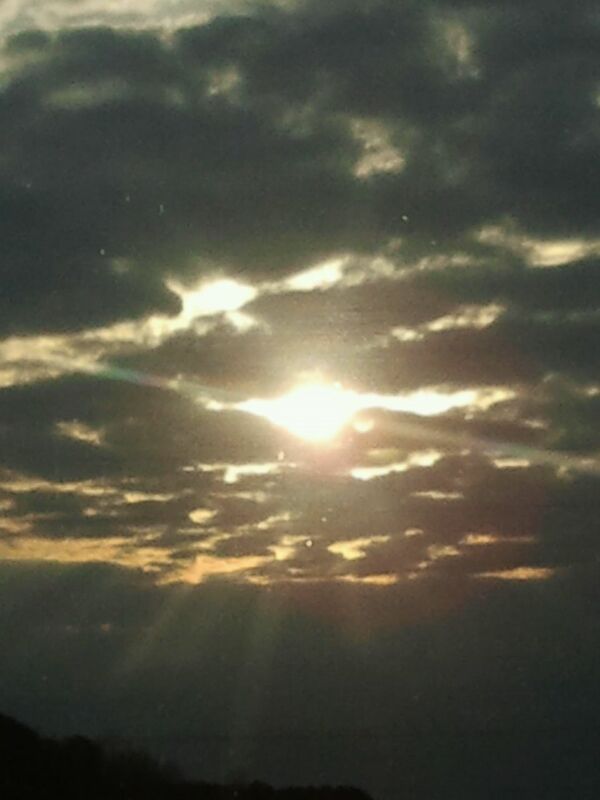 On the drive in to school & work one morning, saw a rare sight. Little bit of sunshine. So excited about my 1st 5k of the year. It will be at Jay Bird Park. My friend Jen said she was gonna get us signed up. Can’t wait to get out there & begin racing, this year! I hope everybody’s week was good. If not, there are still a few more to go in 2013! 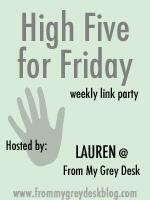 I will be linking in with Lauren from my grey desk. Come on over to the link party! We always have a fantastic time! Link in with Lauren! You will be glad you did! 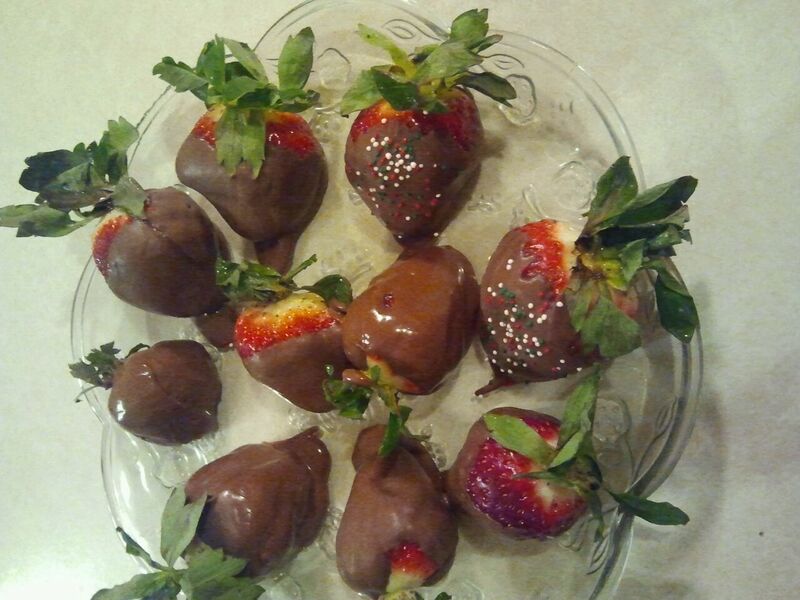 Love chocolate covered strawberries! They look delicious. You could make them again closer to Valentine’s Day and just call this your test run. 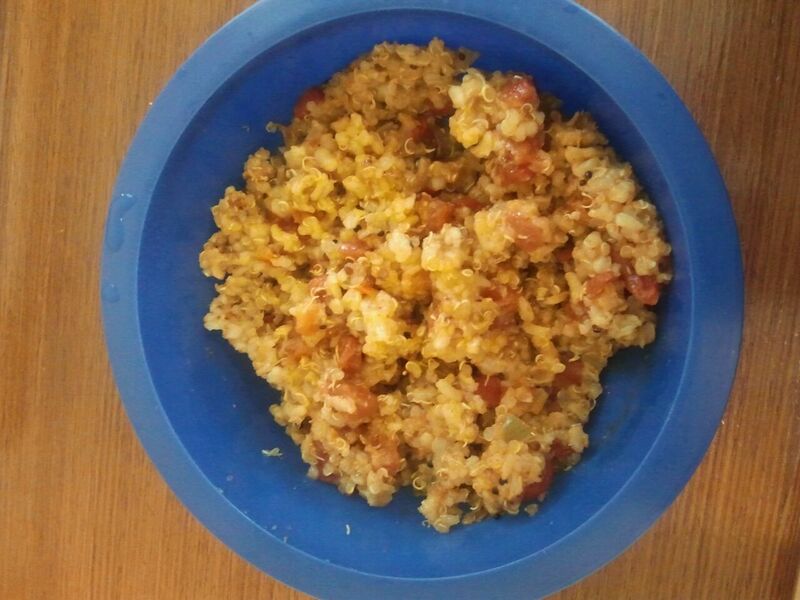 I love quinoa… glad you ended up liking it! Well, I must admit, I always say “doing a 5k” because I briskly walk, most of the time. Except that time I did one in the POURING rain. The rain obviously held me back. Oh yeah, that & the fact I could not see where I was going. 🙂 Yes, the cleaning service is pretty dear to my heart. Hope your weekend is wonderful!